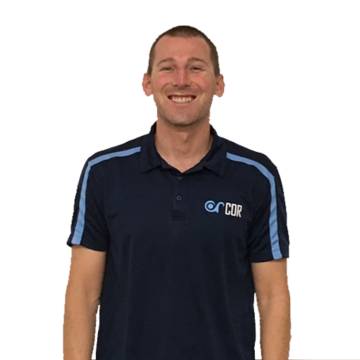 Blog What Genes Influence Swimming Performance? 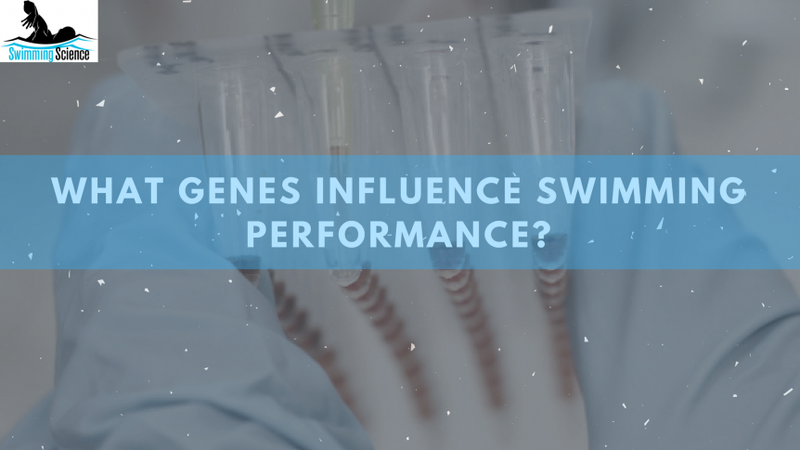 What Genes Influence Swimming Performance? Below is a research review of the following article: The combined frequency of IGF and myostatin polymorphism among track & field athletes and swimmers. This article discusses the influence of genes and swimming performance. Efforts to identify significant genes that influence swimming performance are difficult. This is difficult as performance is multi-variable and many factors contribute to elite swimming performance. Also, genes only play a small contribution to the overall heritability. Recent studies suggested that the IGF C-1245T (rs35767) and the myostatin (MSTN) Lys(K)-153Arg(R) genetic polymorphisms may influence skeletal muscle phenotypes, may be beneficial for endurance and short distance running, and may even be associated with elite performance. C-1245T (rs35767) is a common genetic variation in the promoter region of the IGF-I gene, with the T allele being the minor allele. The frequency of the mutant R allele is about 3–4% among Caucasians, with a mutant homozygote (RR) frequency below 1% (Ben Zaken 2015). In contrast, and rather interestingly, a higher frequency of the IGF 1245T and MSTN 153R polymorphisms was not associated with elite level performance among short and long distance swimmers (Ben-Zaken 2014, 2015). One-hundred and eleven track and field athletes (78 males and 33 females, age 17–50), 80 swimmers (49 males and 31 females, age 16–49) and 111 non-athletes control (78 males and 33 females, age 19–29) participated in the study. Track and field athletes were assigned to two subgroups according to their event specialty, as follows: 1) long-distance runners (LDR, major event: 5000 m-marathon, n = 63), and 2) power-event athletes (SDR, major event 100–200 m sprints and long jump, n = 48). Swimmers were also assigned to two subgroups according to their main swimming event, as follows: 1) long-distance swimmers (LDS, major event: 400–1500 m swim, n = 38), and 2) short-distance swimmers (SDS, major event: 50–100 m swim, n =42). All athletes were ranked among the top Israeli results in their event and competed in national and/or international level meets on a regular basis. The genotypes were determined using the Taqman allelic discrimination assay. The prevalence of homozygotes for the two mutations (MSTN Arg-Arg and IGF-1 TT) was significantly higher among LDR (17%) compared to SDR (10%), LDS (8%), SDS (2%) and controls (7%). Carrying both mutations was significantly higher among LDS (8%) compared to SDS (2%). Forty percent of the LDR homozygous carriers for the two mutations and 25% of the LDS homozygous carriers for the two mutations were of elite level. On the other hand, despite the fact that the prevalence of homozygous carriers for the two mutations among SDR and SDS was not higher compared to controls, all SDR and SDS carriers of the two mutations were elite athletes. The results suggested that the IGF-I T/T polymorphism possible association with higher IGF-I levels and increased muscle mass is more important to power swimming excellence. These results suggest a potential athletic performance beneficial role for both the IGF 1245T and MSTN 153Arg(R) polymorphisms. This was the rationale for the present study assessment of the combined IGF-I-MSTN polymorphism frequency among runners and swimmers. This study suggests that carrying both mutations was significantly greater among long distance compared to short distance runners, and among long distance compared to short distance swimmers. These results may suggest rather uniquely that the myostatin-IGF-I system is less important for competitive elite swimming performance than for running. It is possible that swimming excellence is largely determined by swimming technique and by the swimmer’s size (particularly limb length) [Mullen 2018] which may, at least partially, mask metabolic and muscle mass differences between swimmers, enabling technically-skilled and/or tall swimmers to excel in all swimming distances. In addition, the results indicate that despite seemingly similar metabolic characteristics, different sports disciplines (e.g., swimming and running) may have different genetic polymorphisms. Therefore, combining different disciplines for sports genetic research purposes should be avoided, or at least done with extreme caution. In summary, our findings suggest that carrying both the IGF 1245T and the MSTN 153Arg(R) polymorphisms may contribute to long distance running success but not necessarily to elite performance. In contrast, although the frequency was not higher than the general population, all carriers of both mutations among short distance runners and swimmers were of elite competitive caliber. Genes undoubtedly play a role in elite swimming performance. However, the influence of specific genes is still difficult to isolate. Also, swimming likely has a lower genetic influence than running (and likely other ground-based sports), due to the greater skill influence. However, having the IGF 1245T and MSTN 153Arg(R) polymorphisms may help with elite short distance swimmers. G. John Mullen, Swimming Science, Ivy Press, 2018. S. Ben-Zaken, Y. Meckel, D. Nemet, M. Rabinovich, E. Kassem, A. Eliakim, Frequency of the MSTN Lys(K)-153Arg(R) polymorphism among track & field athletes and swimmers, Growth Hormon. IGF Res. 25 (2015) 196–200, http://dx.doi.org/10. S. Ben Zaken, Y. Meckel, N. Dror, D. Nemet, A. Eliakim, IGF-I and IGF-I receptor polymorphisms among elite swimmers, Pediatr. Exerc. Sci. 26 (2014) 470–476, http://dx.doi.org/10.1123/pes.2014-0158. Ben-Zaken S, Meckel Y, Nemet D, Eliakim A. The combined frequency of IGF and myostatin polymorphism among track & field athletes and swimmers. Growth Horm IGF Res. 2017 Feb;32:29-32. doi: 10.1016/j.ghir.2016.12.002. Epub 2016 Dec 15.